I’ve always said that I’m not much of a beach girl. I hate sand. I don’t like salt, or waves. I get tremendously seasick. 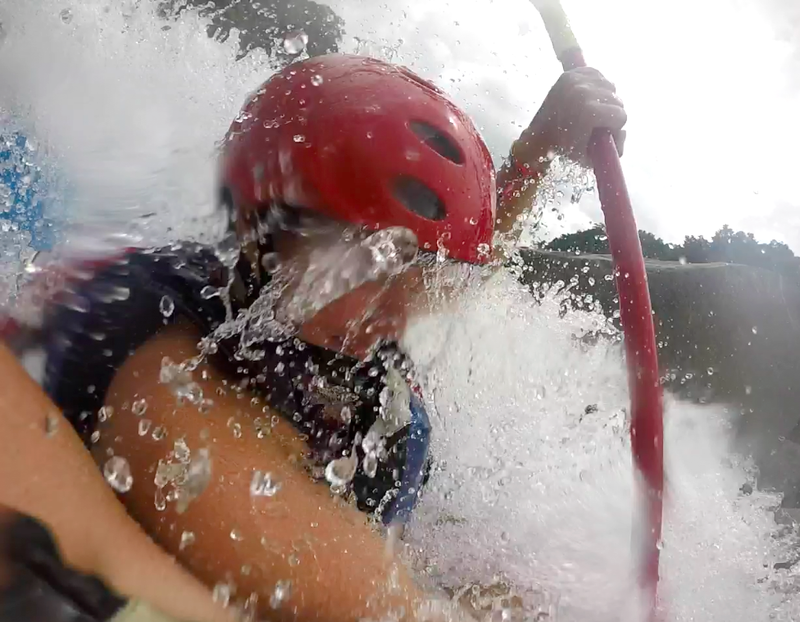 My attempts at both surfing and scuba diving were short lived. The other day, while being eaten alive by all sorts of biting and stinging creatures, Reece noted that I’m not a jungle lady. This is true. The humidity makes me cranky. And I am currently covered in approximately 7000 mosquito bites, while Reece is plagued by maybe 4. This got us wondering, what type of lady am I? A mountain lady? Well, I don’t like the cold. And I’m bad at snowboarding. A city lady? No, that implies I don’t like the outdoors. A desert lady? I don’t think so. Yesterday, we finally figured it out. I’m a river lady! 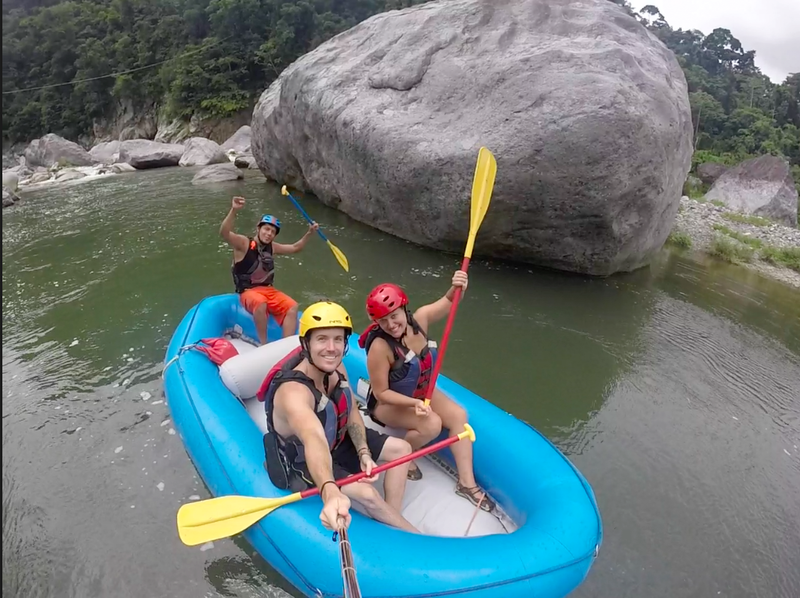 After a day of white water rafting in the Congrejal River, I’ve decided it’s by far my favorite water sport that I’ve tried. Or any sport, for that matter. 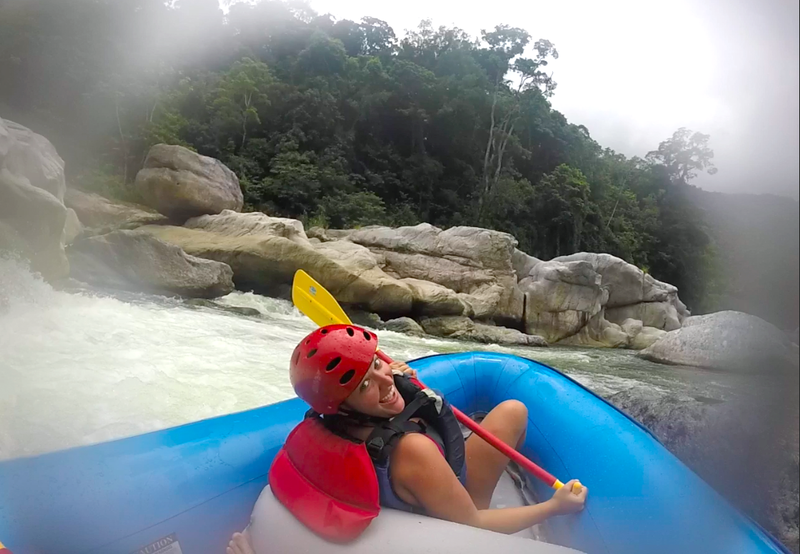 Add some jumping off boulders and swimming in rapids, and it was pretty much the most fun day we’ve had in Central America so far. Towards the end of our journey in a glassy section of the river, we jumped out of the raft for a float through the lush green jungle. I closed my eyes and listened to the sounds of distant wildlife, drifting every so slowly downstream while a warm, light rain fell on my face. One of the most serene and peaceful moments this lady has ever experienced. Far better than an afternoon at the beach any day.